Welcome to Refresh Sofa and Couch Cleaning. 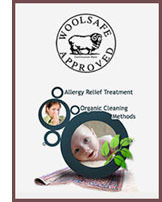 Experts in cleaning upholstery on you sofa, couch and lounge across Sydney. We remove stains, dust, allergens and micro pests effectively from your upholstery. Protect your family by having your home upholstery professionally steam cleaned and sanitised. Leather, suede, wool, rayon, cotton, nylon, polyester, acrylic, olefin, silk and velvet upholstery steam cleaned. Call us now on 0488 963 678. Professional sofa steam cleaning and couch steam cleaning is an effective way to remove dust and mites which can contribute to allergies and asthma. Refresh upholstery cleaners use safe, biodegradable, non-toxic and non-irritating chemicals and formulas on your sofa, lounge and couch. It is important to be able to identify the type of upholstery material on your sofa and couch. Our experts can ensure your lounge and upholstery is cleaned and preserved without damage by using different cleaning methods depending on the material and age. Sofa and Couch fabric can fade prematurely from everyday wear and tear. Stains can be hard to remove, and without knowing the type of fabric and how to clean it safely, long term damage can ruin your sofa, couch or chair. You can expect first class upholstery cleaning every time with Refresh Sofa and Couch Cleaning Services. Our technicians are experts in cleaning all types of lounge upholstery.